Did you know that annually, business robbery offences in London account for on average, 10% of total robbery offences? Prevent your business from becoming a crime statistic by taking a few simple and relatively inexpensive precautions now. 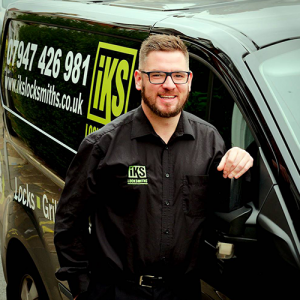 IKS Locksmiths have a proven track record when it comes to commercial security. We offer a wide range of professional and reliable commercial Locksmith services, including a 24 hour emergency locksmith service across London, South Hertfordshire and surrounding areas. We pride ourselves on providing excellent value for money at the highest levels of service. Maximise your security and book a security survey today. Take our free, no obligation security survey to help you identify any security weaknesses that your business or office might have. One of our Master Locksmiths will then talk you through the best and most appropriate solution for your business or office. Once you are happy, we will work with you to install the highest quality products that effectively meet your needs. Our locksmiths cover North and Central London and South Hertfordshire. So give us a call if you urgently need a locksmith in Barnet, you need to improve the security of your office or you just would like to benefit for our free security survey. No matter what your business, we have a solution for you. Installation of bespoke lockable plantation shutters. In addition to our range of security products, we also offer security accessories that further improve your levels of safety as well as door furniture that will compliment the look of your property. These products include everything from London and Birmingham bars which reinforce doors, to accessories like letter boxes and spy holes. If you’re going for a particular style or look, our specially designed fittings would be a good option for you. Take a look at our Security Accessories page for more information. We offer a wide range of products to suit all your needs. Whether you manage a retail shop, property company or corporate office it is often more convenient to have a Master Key suite or a Keyed Alike system. 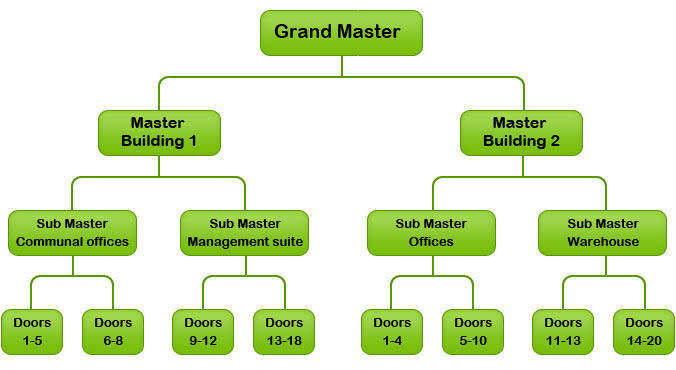 A Master Key suite allows each lock to have its own unique key which will not operate any other lock however each lock can also be operated by one single key – the master key. A Keyed Alike system allows for a number of locks to be operated by the same key for your convenience. Most of our security products can be used with a Master Key and Keyed Alike system. From locks and grilles to safes, door furniture and security accessories, we’ve got it all. Security Accessories and Door Furniture – Choose from a range of security accessories like door closers and hinges bolts that can increase the overall security levels of your property. Full Professional Locksmithing Services for all your security needs, no matter how big or small. Whether you want to install a Master Key system, change the locks in a new office or you’re simply looking to upgrade your security system, there is help at hand. Our CRB accredited, locksmiths have all the products, knowledge, experience and expertise to help you with all of your security needs, no matter how big or small. We offer a 24/7 emergency mobile service to help you out of any situation you might find yourself in. Our highly trained Locksmiths are on standby around the clock for your safety and peace of mind. When it comes to protecting your office, shop or property, we provide unrivaled service. 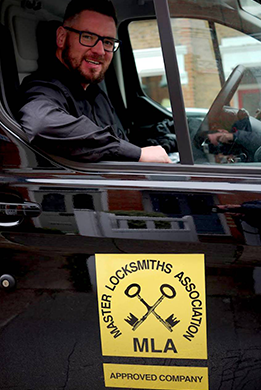 All of our Locksmiths are CRB checked and IKS Locksmiths are also an approved member of the MLA (Master Locksmith Association) so you can be sure that when you call us, your security is in good hands. A trustworthy, reliable locksmith is just a phone call away so get in touch today on 07947 426 981 to arrange one of our free security surveys.